In my previous post I shared how my early experiences in Sales at Microsoft turned me into a passionate advocate for Sales and Marketing alignment. As I mentioned, today’s Internet-enabled buying process is transforming our job as marketers; now, the tightly integrated systems, processes, and collaborative culture of a well aligned Sales and Marketing organization are among the most critical requirements for growing market share and customer engagement. So, how do you achieve tighter alignment with Sales, and understand more about the buying process, without having to switch your career into Sales? It starts with a willingness to immerse yourself in the company’s sales process from within Marketing. Here are three ways to do that. Getting directly in touch with prospective buyers is an incredible education. It also gives you a sense of what challenges a Sales rep may have to overcome: a “fellow feeling” that will make you a compassionate friend of the Sales organization. Build rapport with the Sales staff. I recommend you befriend sales reps that are top performers and discuss the dialog they have with prospects — because they clearly know how to win. The cost of lunch or a cup of coffee is a cheap price to pay for all that insight! Go on sales calls with reps. 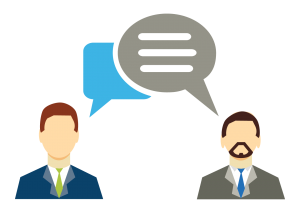 Listening to their conversations with prospects will help you uncover their messaging and how they answer questions and address objections. The more you learn about what resonates with prospects, the more you can incorporate these messages into your marketing efforts and content. In Field Marketing, you have countless opportunities to build rapport with Sales since you’re physically with them. Go to retail stores and do some “secret shopping” so you can listen to both retail sales reps and the prospects with whom they are interacting. Face-to-face settings help you pick up on the body language of prospects and understand the psychology of what appeals to them (and what doesn’t). For products and services that are sold online, partner up with the TeleSales, Inside Sales, and Customer Service teams to shadow their calls. You’ll come away with a real-world knowledge of your company’s buyer personas, like the early adopters who want to be on the cutting edge of new technology and the laggards who only buy once the market is proven. You’ll learn how different industries, different roles, and different size companies all represent different buyer personas. Creating relationships and engaging with existing customers lets you immerse yourself into the mind of the customer. Take a genuine interest in customers and learn about their day-to-day lives and responsibilities as they relate to our products and services. Seek out why they purchased your product. Find out what the process was like, and who was involved. Call them; don’t survey them. Ideally, meet with them in the their offices because you’ll learn even more than you will at shows. Do use industry events to get one-on-one time with customers and talk intimately with them about the research they did leading up to recent purchases, as well as their experience as a whole. Ask them what content they read and watched. I’ll share with you one thing I’ve learned about buyers: their emotions play a huge role in their buying decisions, as opposed to features and capabilities. Yet how often do we focus marketing content on product features? #3: Leverage the Marketing and Sales Cloud. In the past few years, Marketing has become as much a science as an art. Marketing technologies have caught up to the technologies of other core business functions, and we have powerful demand generation systems that integrate with the systems used by Sales. 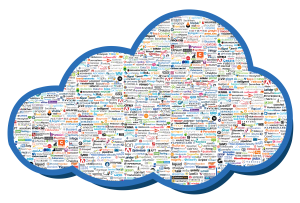 So you need to learn about and leverage the Marketing and Sales Cloud. Learn about the systems Sales uses in the sales process, and how tools in the Marketing Cloud (like marketing automation) integrate with them to support lead management: for example, how the CRM system can display the digital body language of prospects to the sales rep. Become educated about advanced technology concepts like lead management so you can better support your partners in Sales. Use what you learn to get better at designing campaigns and programs that help Sales focus on the most engaged and qualified prospects. These three methods will help you forge a tight bond with Sales, and through Sales with your customers. 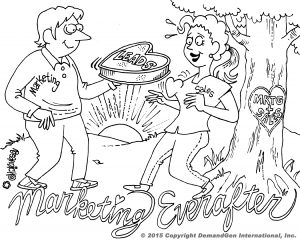 To be a better marketer, you must rise to the challenge of creating and maintaining continuous collaboration between the Sales and Marketing teams: two functions of equal importance in growing revenue and profitability through a culture of partnership and synergy. Interested in learning about more best practices on how to align your sales and marketing? Check out some of our related content; Tips and Tricks to Aligning Sales and Marketing and How to Improve Sales and Marketing Alignment. If you want to learn more on our sales and marketing best practices or any other services we offer, drop us a note!